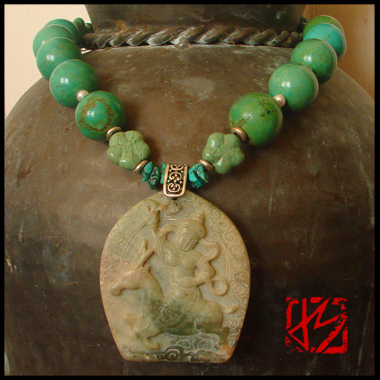 Lakshmi, wife of Vishnu, is a goddess of great beauty and prosperity (wealth in life, love and spirituality) in Hindu lore. One of her names is synonymous with the word for 'doe'. 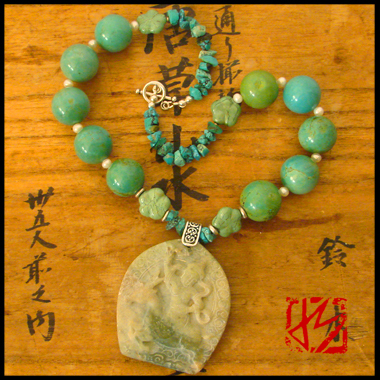 Saraswati, the goddess of learning, knowledge and wisdom, is also often depicted as or with a deer. 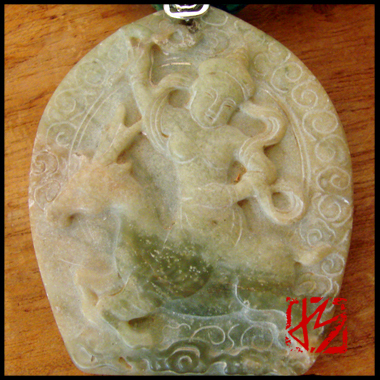 This calcified jade carving depicts a brave and beautiful figure astride a running deer in intricate bas-relief.